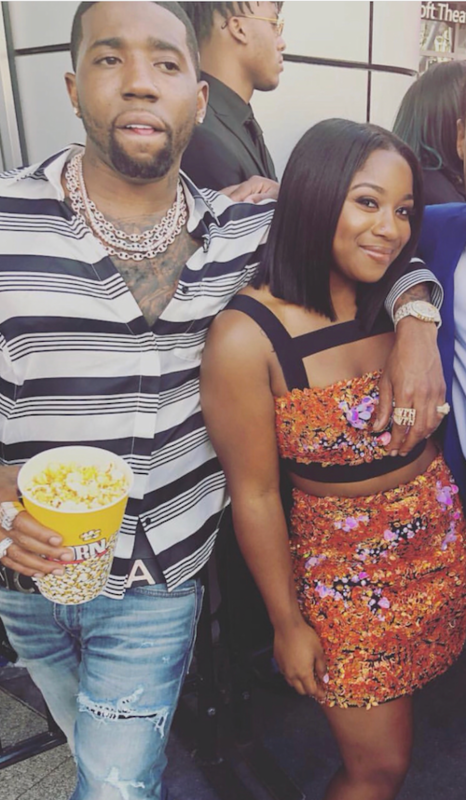 Nae rocked a floral and embellished two piece halter look while boo'd up with her man on the carpet. 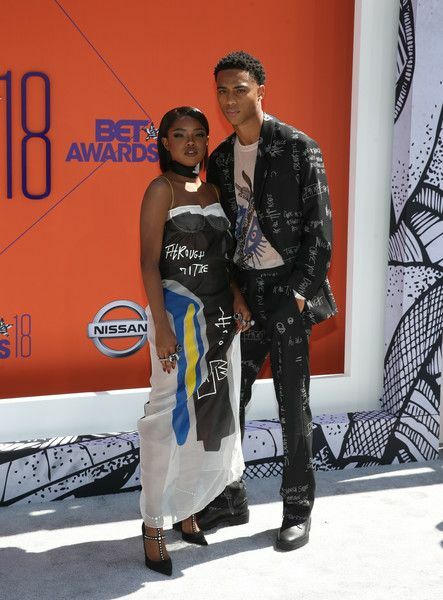 Speaking of coupledom, our young faves Keith Powers ("Famous In Love") and Ryan Destiny ("Star") are still boo'd up heavy. And so cute. These outfits they chose are eyebrow raisers, for sure. But we love a couple who can take a risk together. 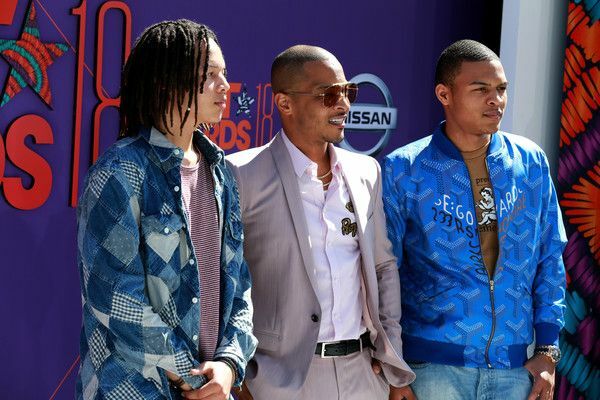 (L-R) Domani Harris, T.I. 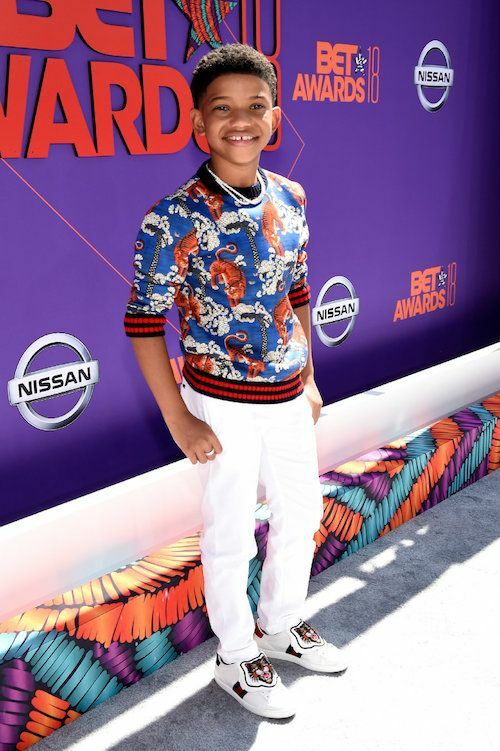 and Messiah Ya' Majesty Harris had their dad's back on the carpet, even though he didn't really deserve it. 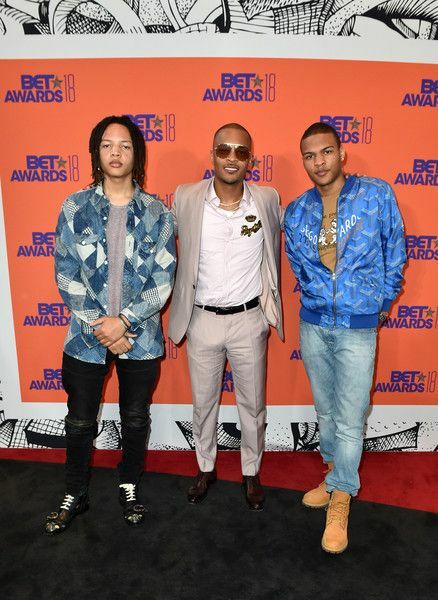 TI's got a new show called "The Grand Hustle" hitting BET soon. 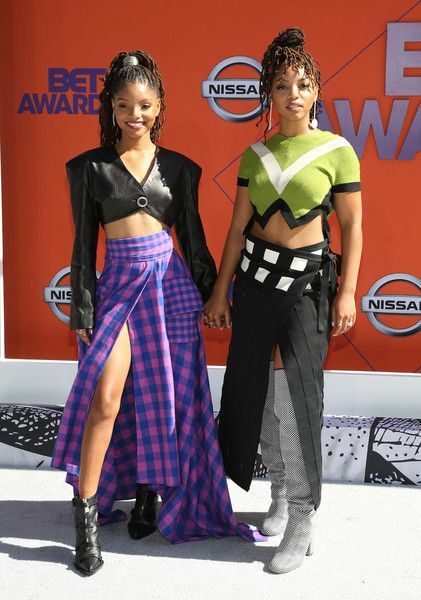 Cuties Chloe & Halle pulled some risky looks out their loc'd and braided crowns. 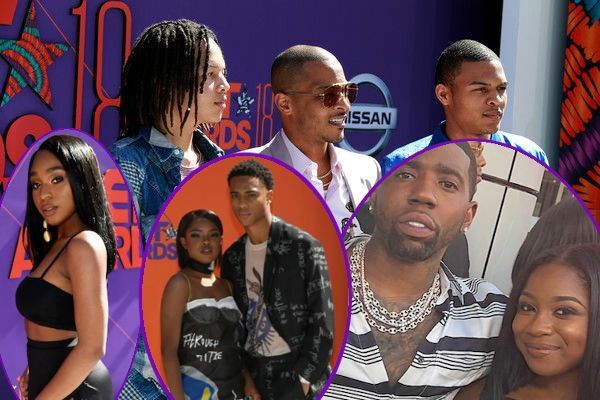 The "Grownish" stars, who are on Beyonce's label Parkwood Entertainment, have a brand new album out that just dropped called The Kids Are Alright. Chick is gorgeous and slays a stage. We just want to now why she wasn't on the lineup this year to help save that show. 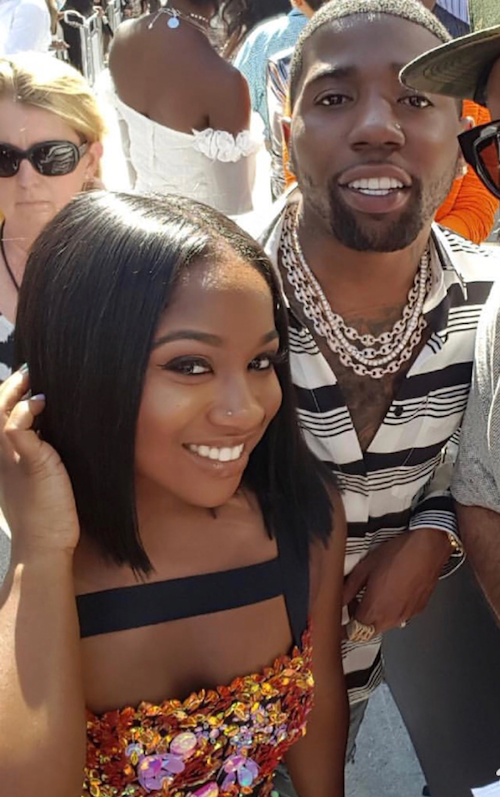 Rapper Asian Doll copped a Maybach Music deal with Rick Ross. Now she's living out her dreams, barely dressed on red carpets and ish. 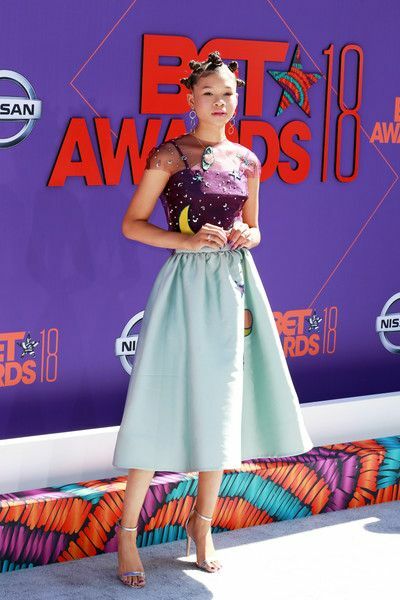 Two of our fave little sisters in our heads, Amandla Stenberg and Storm Reid, showed up with bomb hair, perfect makeup for a YBF Teen, and projects galore to promote. 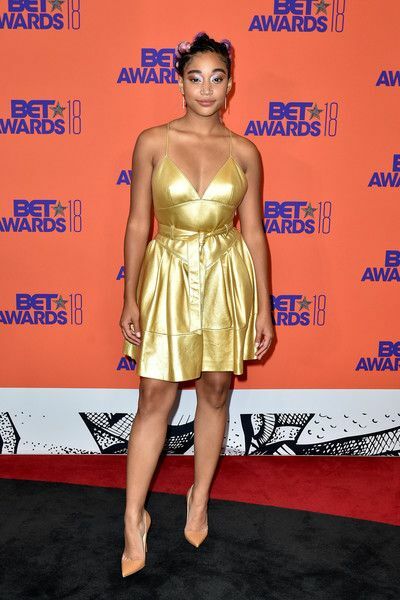 Amandla debuted her new trailer with Regina Hall for The Hate You Give while A Wrinkle In Time star Storm is filming new projects and soon to release her tv movie Euphoria. 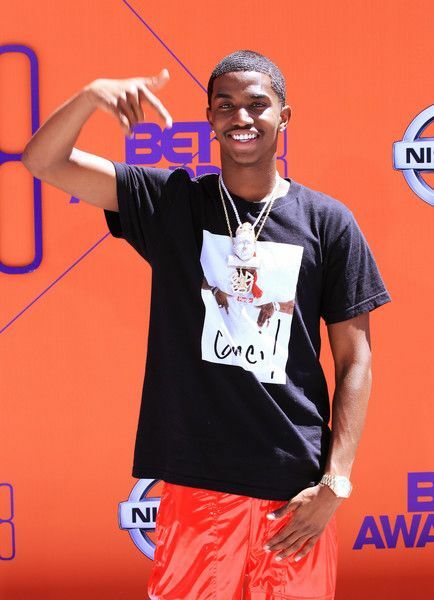 Christian Combs is holding down the Combs name for his dad Diddy. 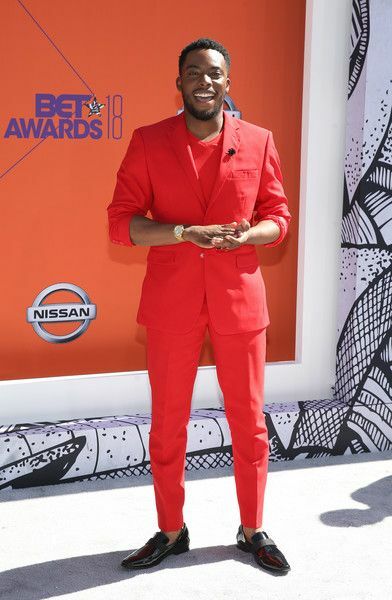 The budding rapper kept it extra casual on the carpet while arriving to turn up at the pre-show with a performance (Cassie wasn't the only one he hooked up with a pre-show job). 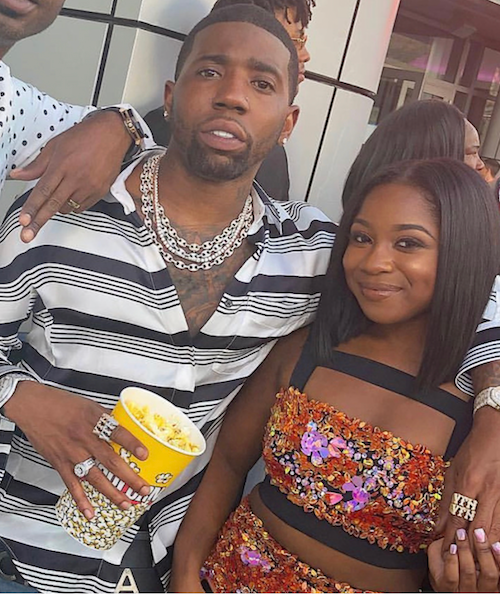 Then, King Combs changed clothes to enjoy the show with model girlfriend Breah Hicks. 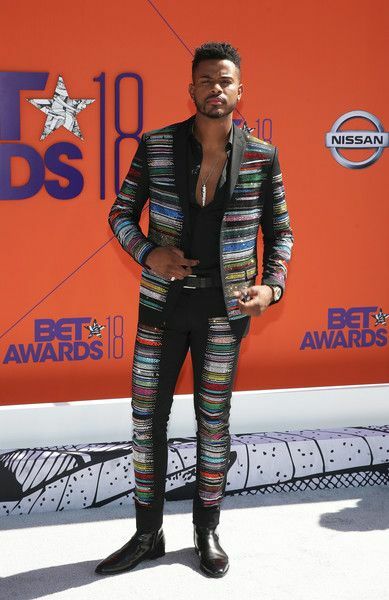 "Grownish" star Trevor Jackson went from Superfly to...this...on the carpet. He performed at the pre-show and did some hosting inside during main show. 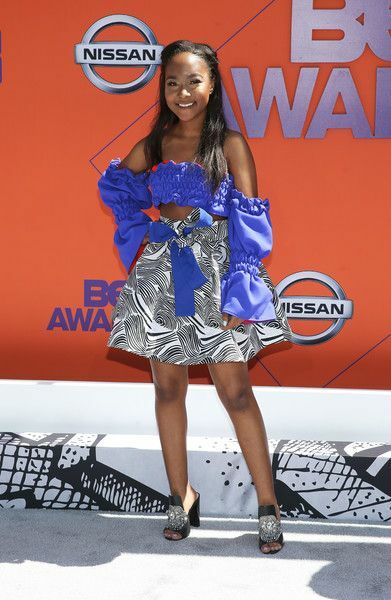 We can always leave it to Skai Jackson to bring the fashionista vibes. Lonnie Chavis is getting tall! The "This Is Us" cutie is definitely growing up, and Gucci'd down. Rainaaaaaa! 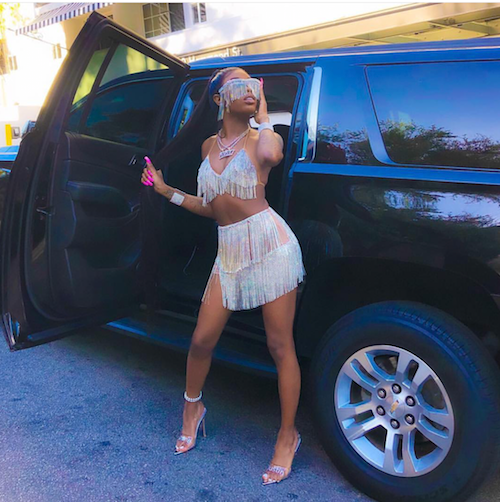 Tariq's twin may have been killed on "Power," but Donshea Hopkins is still very much out here living her best YBF Teen acting life. 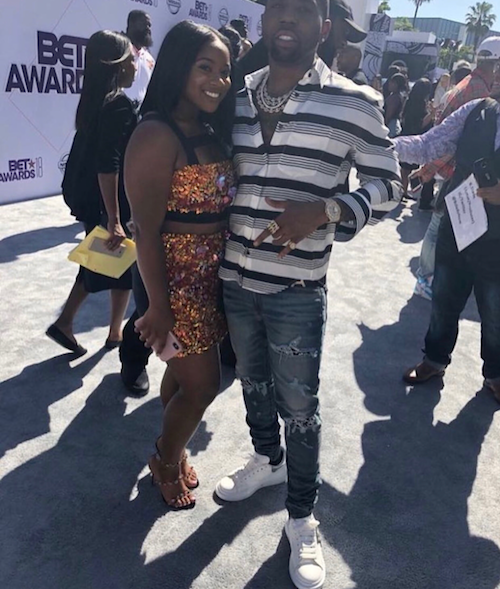 Woody McClain is about to KILL his role as Bobby Brown (again) in the upcoming "Bobby Brown Story" on BET. 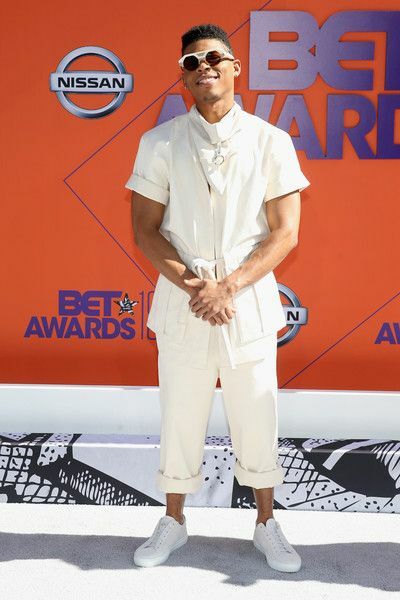 "Empire" star Bryshere Gray rocked all white for the carpet. 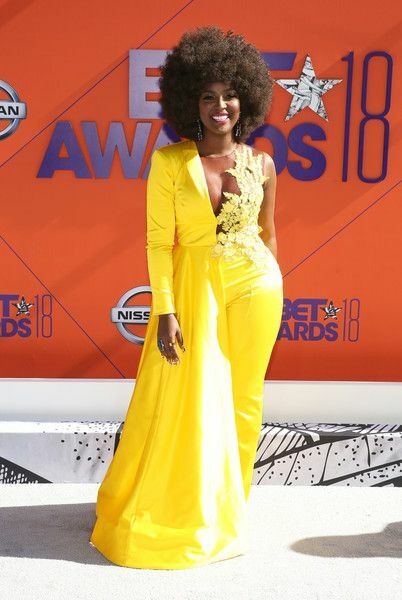 We love everything about Amara La Negra. The LAHH star & singer may have been hot AF on that carpet in all these clothes, but this yellow is poppin' on her skin. 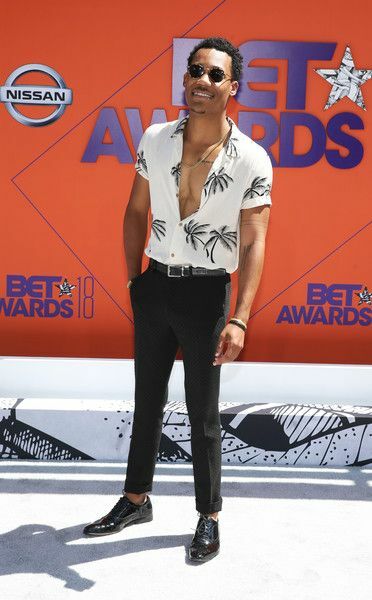 Serayah not only makes super bold choices as Tiana Brown on "Empire," but she sometimes shows up to red carpets in real life like this. She rocked this Alice McCall concoction to shine for her entrance. 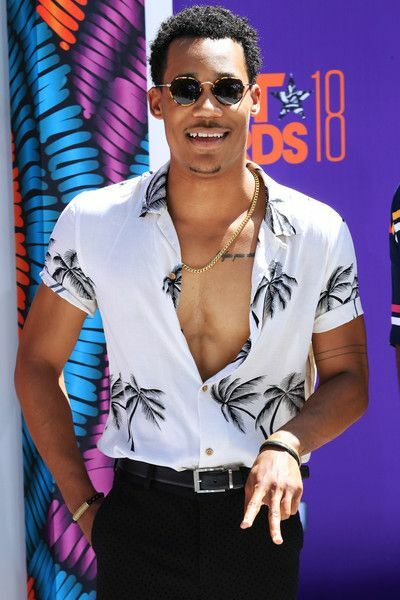 And Tyler James Williams is growing up FINE. The 25-year-old "Everybody Hates Chris" turned "Dear White People" star is now shooting a new movie called The Wedding Year. And we're already here for it.